Researchers from ITMO University have built a setup for recording holograms of tiny objects like living cells at femtosecond speeds. The new method reconstructs the phase topography of a sample according to deformations that emerge in a laser pulse when it passes through the specimen. In comparison to electron microscopes, the device can visualize transparent biological structures without introducing contrast agents. The paper was published in Applied Physics Letters. The vital activity of living cells is a complex sequence of biochemical reactions and physical processes; many of them take place with high temporal resolution. To register such rapid transformations, scientists need more accurate and faster equipment. Biological tissue can be studied with an electron microscope, but this method requires introducing a special dye in the sample. The dye makes cells contrast, although it may affect their metabolism. Digital holographic microscopes can cope with this drawback, but have low spatial resolution. The new camera created by ITMO scientists can register fast processes in transparent specimens and provides increased resolution of images in a wide range. The device records phase deformations of ultrashort femtosecond laser pulses that emerge when light passes through the sample. The phase images, or holograms, will contribute to better understanding mechanisms of autoimmune, oncological and neurodegenerative diseases, as well as monitoring cells during surgical interventions such as cancer therapy. "Our device will help biologists and genetic engineers track what is happening inside a living cell with a resolution of about 50 femtoseconds—this is enough to resolve many biochemical reactions. Theoretically, the camera can even capture an electron jumping to another orbit. We can now study the viability of cells when initiating certain processes, for example, heating or transferring viruses and cells in three-dimensional space using femtosecond laser radiation. The device also supports tracking cell states during changing pH, adding and editing of genetic material," says Arseny Chipegin, lead author of the paper and researcher at the Laboratory of Digital and Display Holography at ITMO University. For the analysis, a femtosecond laser beam is split in three. The first beam has 95 percent energy and starts the process; two other beams are used for diagnostics. The second, known as the object beam, passes through the specimen. The third, a reference beam, is deflected by mirrors and goes around. The rays meet behind the sample, where they form an interference pattern of bright bands. The strips emerge when crests of light waves overlap and amplify each other. By adjusting the position of the mirrors, the scientists delay the reference beam, forcing it to meet the first one at different times. In other words, the second beam scans the one that passes through the sample. Every collision of the beams is recorded on a subhologram. A fast computer algorithm compiles all the subholograms in a series. The device removes one of the most important issues of digital holographic microscopy associated with increasing resolution capability of a system at the stage of recording holograms. "Technically, we can scale the images dozens of times, setting the magnifying system between the object and the camera. Not only does this enhance resolution, the measurement accuracy grows, too, since the number of interference bands does not change. 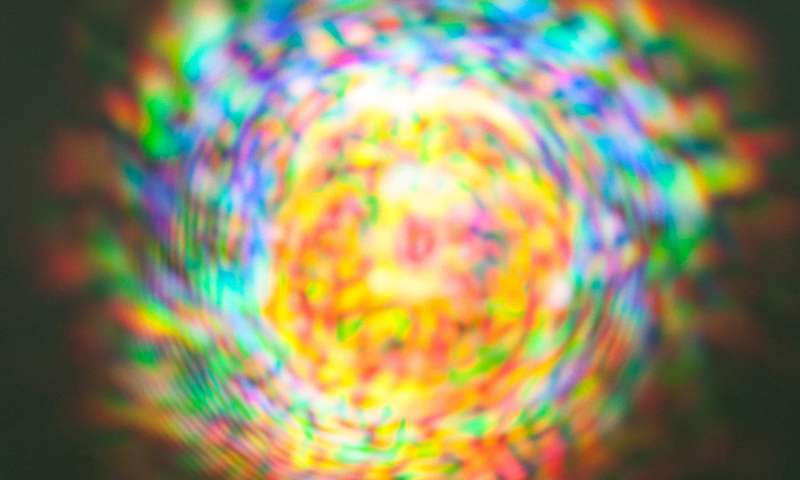 Thus, it is possible to calculate the phase difference between the object and reference beams more precisely," says Nikolai Petrov, head of the Laboratory of Digital and Display Holography. According to the scientists, the research will continue. 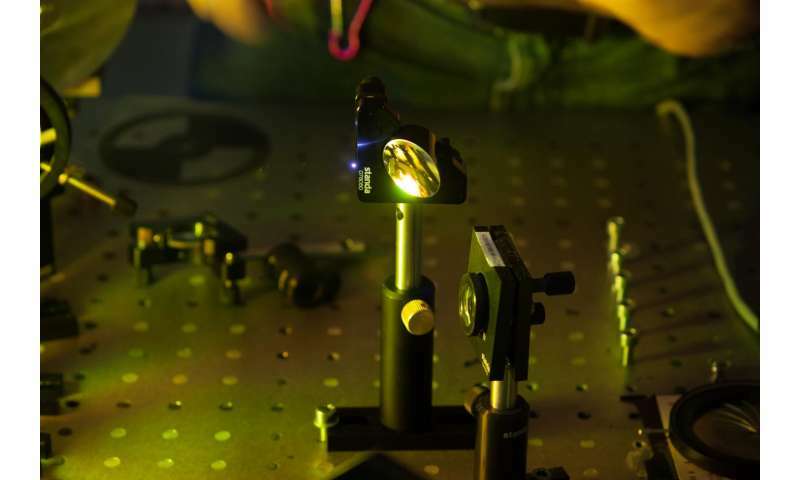 The developed system is designed to be simpler than many modern microscopes, but has several advantages in speed of recording and processing holograms.